I'm sure I've seen something like this before but the memory's gone. 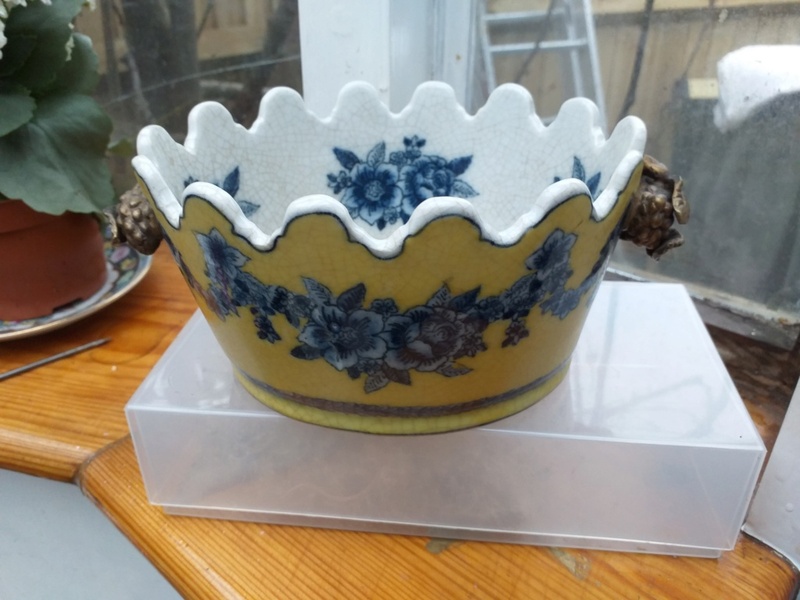 Solid, heavy pottery bowl or terrine, 7 inches in length, 3.5 inches high, garlanded flower around the yellow outside and more flowers on the white inside. Fruit gold painted 'handles' on each end. No markings to base. Lots of crazing but looks like it might have been made that way. Lovely solid and quite heavy for size. First post so apologies for any gaffs, many thanks. The shape is based on the silver castellated moncrief punch bowl. 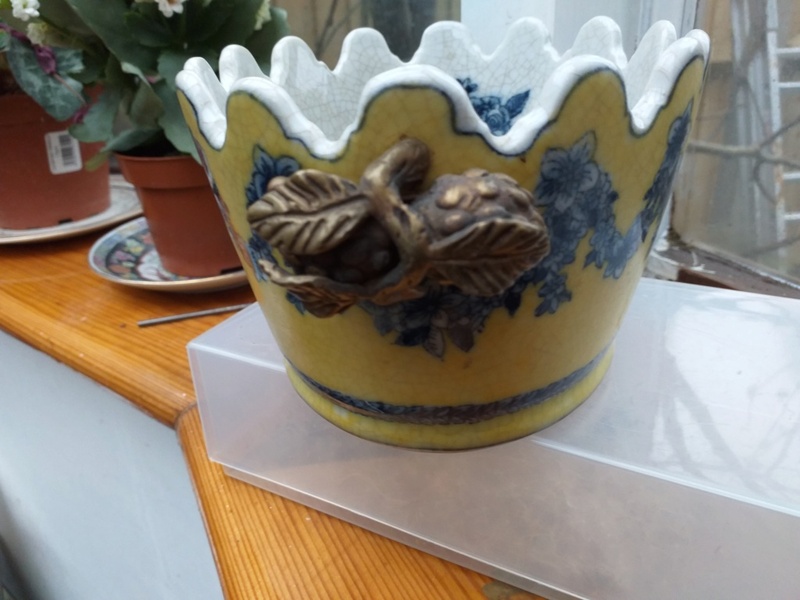 I’ve had one of these Chinese versions too, but they are modern decorators pieces.